Career Directors International (CDI) has created the benchmark upon which all resume writing is judged with their annual Toast of the Resume Industry (TORI) awards competition. For its 13th year, CDI is unveiling some of the strategies that can determine whether a resume is a career-making winner or one that falls to the bottom of the stack. CDI providesresume writers with a global community and top learning opportunities where they can continue to grow and advance their skills to stay abreast of the changing and accelerating employment landscape. Career Directors International (CDI) launched the Toast of the Resume Industry (TORI) awards competition 13 years ago. The goal of the competition continues to be to celebrate excellence, to educate resume writers to possibilities, and to challenge standards. Resumes have evolved just like everything else in today’s digital world. It is not enough to list job descriptions, no matter how well written. CDI provides its members with a global community and top learning opportunities where they can continue to grow and advance their skills to stay abreast of the changing and accelerating employment landscape. With the TORIs, it has been nothing short of phenomenal to see the evolutionary jumps that resume writing has made over the last several years thanks to the competition. Each new competition showcases new talent in visual design and layout, evocative and engaging writing, and the ability to build a job seeker’s unique brand within the document. 1. Recognize that not every candidate will have the accomplishments worthy of a TORI. Look for candidates who have strong metrics (savings, profits, improvements, growth) and CAR (challenge, action, results) stories to ensure the content is available to create a dynamic document. 2. Focus the summary section on bottom-line branding. Don’t waste time with fluffy overviews that don’t make the candidate’s resume stand out or specific examples that make him/her seem to be a one-trick pony. Instead, look to express how the candidate is a bottom-line contributor and express that unique selling proposition. 3. Use dynamic and engaging language throughout the document with an emphasis on avoiding repetition. A winning resume has no room for “responsible for” or “responsibilities include”, for use of weak verbs like, “did” or “had” or for repetition of general verbs like “manage”. 4. Don’t just tell but sell in the job descriptions by leading with a hook. The hook is quite simply the challenge or goal of the position. Engage the reviewer with what the candidate was tasked with accomplishing and this will create deeper value for any bullets or content that comes after. 5. Cross the bridge with language and wording used for the target audience. If the candidate is changing professions, the content should be written toward that new profession whenever possible. 6. Balance white space to create an attractive document. Never leave one or a few words dangling on a single line, or a few sentences or paragraphs alone on a page. Rewrite to create better balance and presentation. Further, look for all opportunities to balance page content to create uniformity and aesthetics. 7. Don’t be afraid to play with layout, colors, and with MS Office tools. With an open mind, and the insert and design menus, just about anything is possible to create a visually distinctive resume. This won’t happen immediately but requires thought, practice, and play. Also spend time studying past TORI winners to understand what others are doing. 8. Turn responsibilities into value-packed stories by focusing on always using CAR stories to explain the challenge, action, and result of a job function. 9. Put equal weight on both written content and presentation. The resume could be the best written or the most visually distinctive and still not win. It has to do both. 10. Most importantly, proofread, proofread, proofread for spelling accuracy and punctuation consistency. These areas can undermine even the most attractive resume. The 13th annual TORI competition will remain open until Wednesday, June 18, 2014. 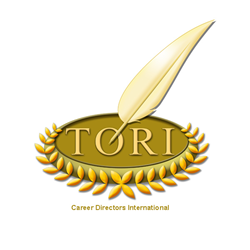 CDI encourages both resume writers and job seekers to visit their TORI Award page to learn more about the competition. At this time, all winning resumes from 2006 to 2013 can be viewed on CDI’s winner’s page.